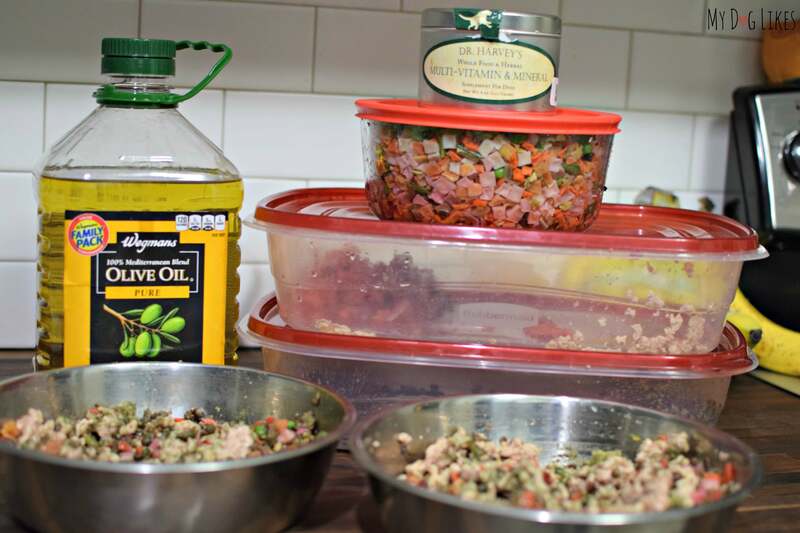 Many of our readers have expressed interest in moving toward a homemade dog food diet, but have said that they feel overwhelmed by all of the information out there. What at first may seem like a daunting task can actually be quite simple! 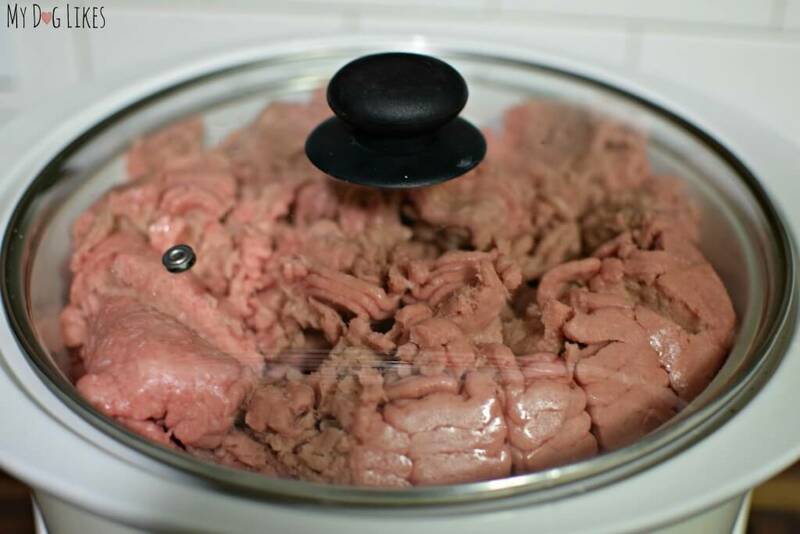 Today we are going to share what we believe to be the easiest way to make homemade dog food. 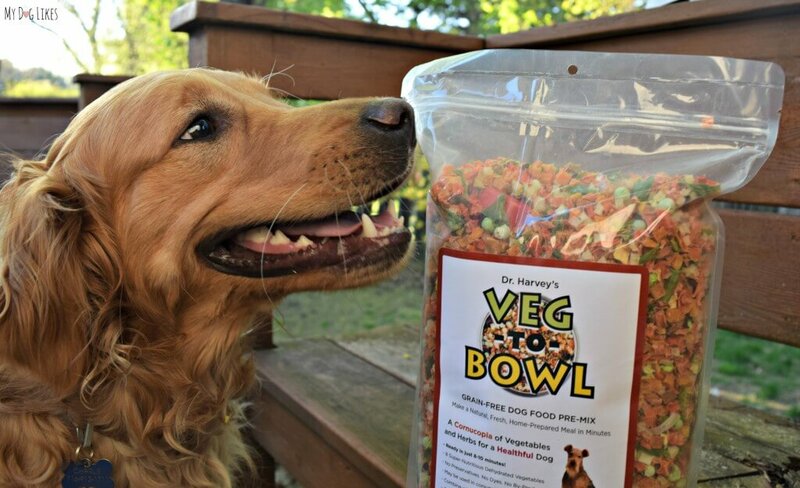 Veg-to-Bowl is a dehydrated dog food premix consisting of 8 different vegetables and a mix of healthy herbs. While it may look simple on the surface (which is not a bad thing when it comes to food! ), it serves as the foundation of a complete homemade diet. All you need to do is add a protein and oil and you are in business! 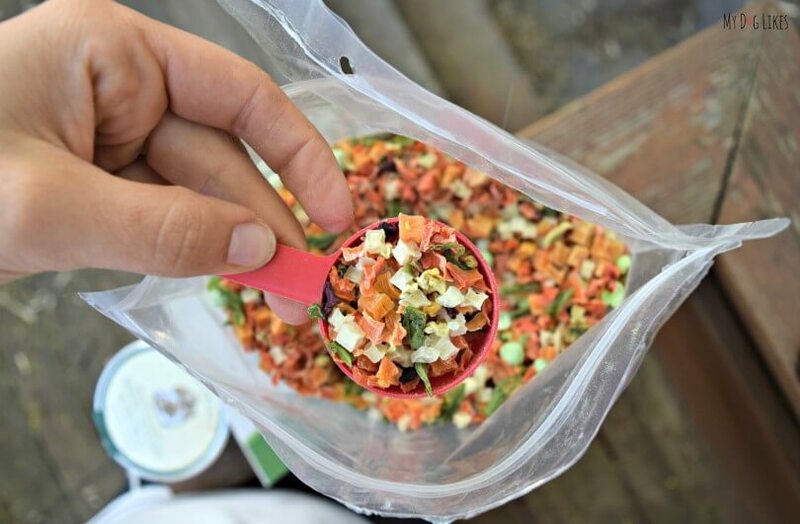 Comprised entirely of whole foods, you won’f find any chemicals, preservatives or dyes inside Veg-to-Bowl. It is also free of wheat, corn, soy or other grain and it is made right here in America! 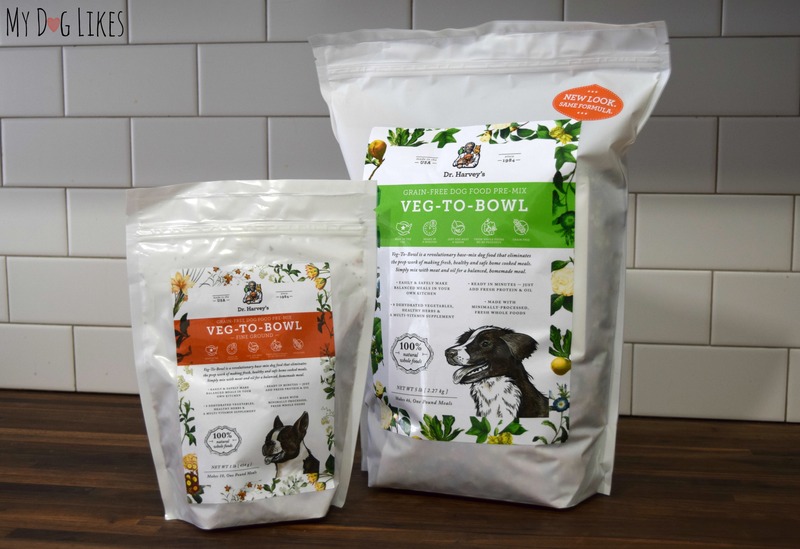 Check out this quick video to see just how easy Veg-to-Bowl makes homemade dog food preparation, and why it saves us SO much time! 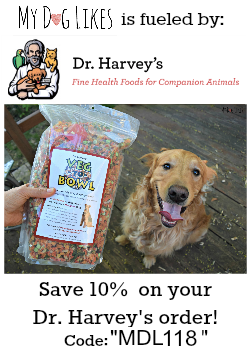 It should be no surprise that this amazing product comes from our friends and longtime sponsors, Dr. Harvey’s. We have been using it ourselves for nearly 2 years now, and can’t recommend it highly enough. The original Veg-to-Bowl comes in 1, 3, and 5 pound bags. It is also now available in a fine ground version designed to be more palatable for small dogs or picky eaters. This variety is available in 1, 3 and 7 lb quantities. Don’t let those numbers fool you – since this is a dehydrated food, it makes a TON of portions. For example the 7 lb bag alone can be used for 66-1 lb meals! You don’t even actually need to open the bag to find out! 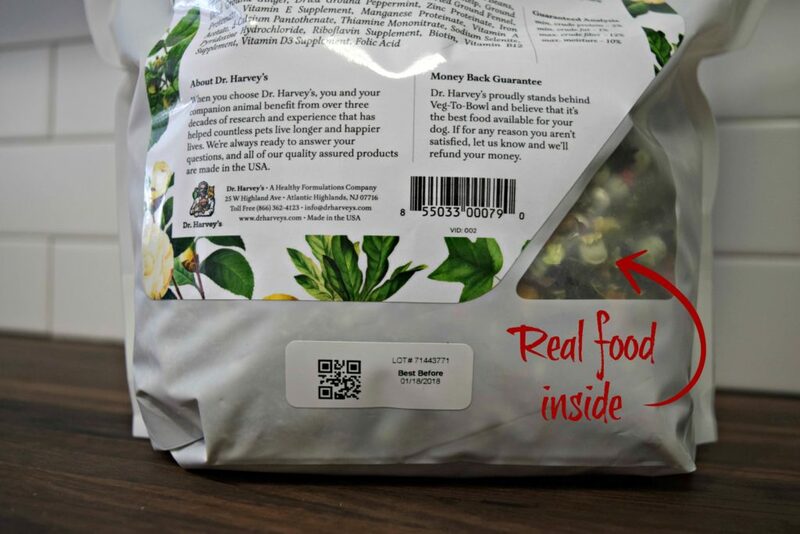 Just flip over the bag and peek through the window for a look at the whole food pieces inside! What else? Assorted herbs, vitamins and minerals. These extra additions help to make sure that your dog is getting everything he or she needs for a balanced diet. Something that is SO important if you are taking on the responsibility of preparing your dogs meals. Since Dr. Harvey’s Veg-to-Bowl comes dehydrated, it must first be re-hydrated before serving. All you need to do is add hot water (in a roughly 1-1 ratio) and wait 10-12 minutes for it to be reconstituted. Once it looks and feels like cooked vegetables, it is ready to go! Don’t feel like you need to prepare your Veg-to-Bowl each and every meal! We like to go ahead and prepare several days worth at a time in a large container and store it in the refrigerator. Utilizing Veg-to-Bowl gives you complete control over the protein that you serve your dog. 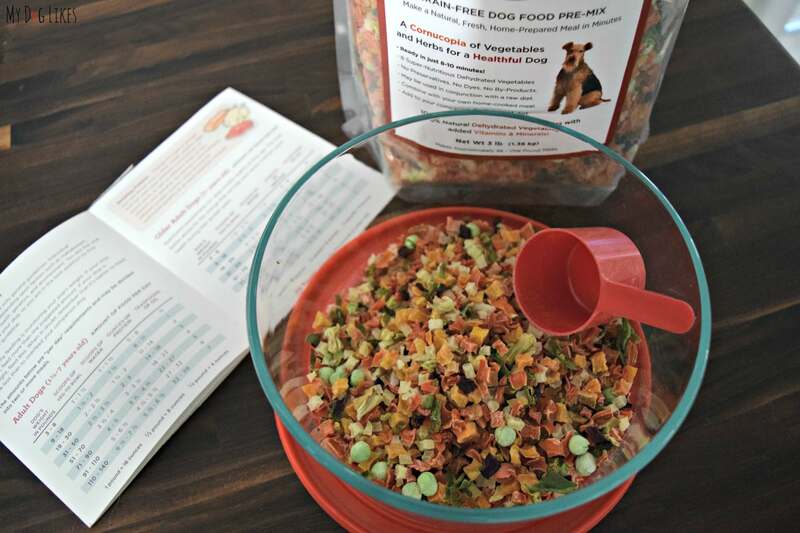 This is great if you decide to give raw feeding a try, are catering to a dog with allergies, or if you prefer to support local and organic farmers. You can have your pick of chicken, turkey, beef, fish, eggs, lentils and more – or even rotate between them! We most commonly opt for a mixture of ground turkey and lentils for a protein source. Due to a recent warning from the FDA we would caution against using lentils as a primary ingredient in a homemade diet. “Dogs fed “grain-free” food based on peas, lentils or potatoes are developing an unusual condition that can cause an enlarged heart, the Food and Drug Administration warned Thursday.” We will keep an eye on this story and update when more is known. TIP: You can prepare very large quantities with ease in the crock pot! One of the most common mistakes made by homemade feeders is forgetting to add fat to your dogs diet. Just like humans, DOGS NEED FAT! Whether you choose flax, olive, hemp, sesame, or fish oil, it doesn’t matter – just make sure to add a bit onto each meal! We most commonly use olive oil or capsules of Dr. Harvey’s Health and Shine Fish Oil. Thats It! Take a Look at the Finished Product! Below is a photo of our homemade dog food recipe – made simple with the help of Dr. Harvey’s Veg-to-Bowl! We typically sprinkle on a multi-vitamin and joint supplement for good measure, but you can also add things like greek yogurt or an egg to spruce things up a bit! 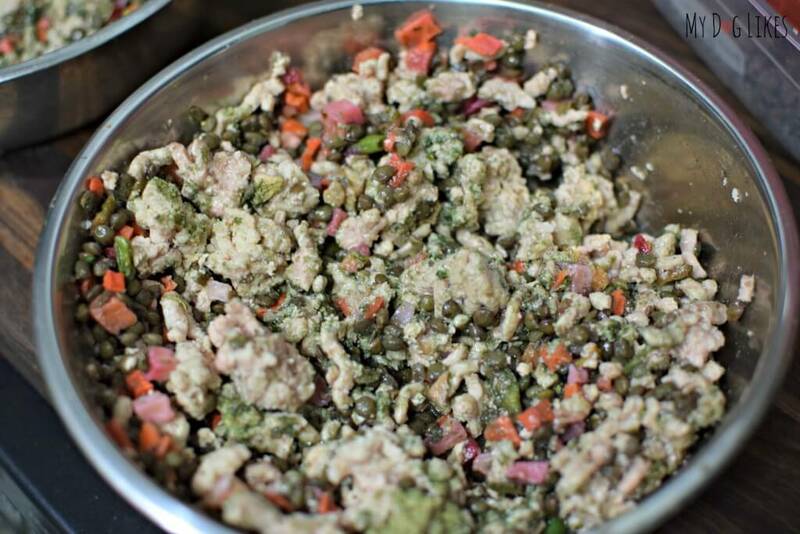 Trust us, your dogs will go crazy for this recipe! Old packaging – Same Amazing Ingredients! 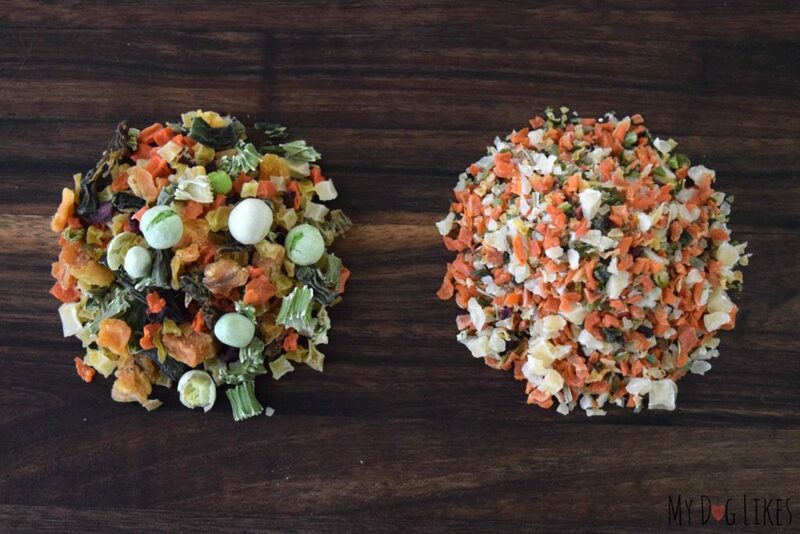 While it may not sound like a big deal, trust us, the majority of time spent in making homemade dog food lies in the vegetable prep. Cleaning and chopping 10+ pounds per week is harder than you would think! Plus, it is difficult to make room for all of that in your refrigerator. 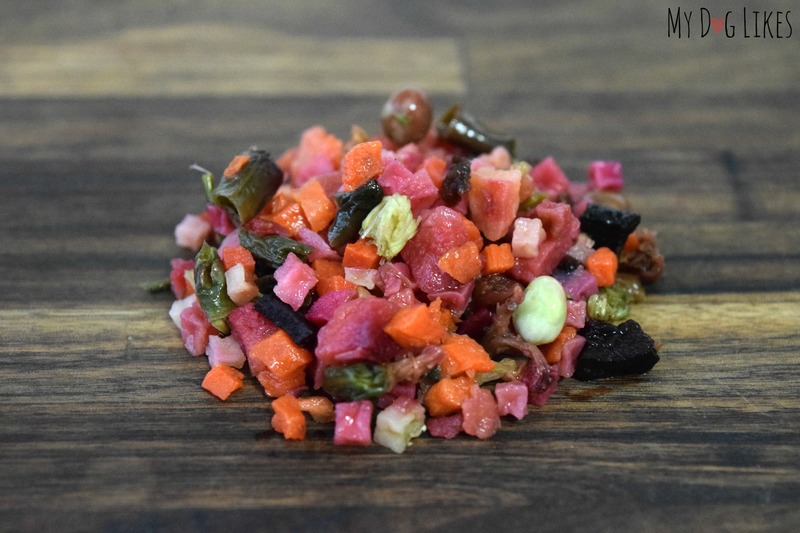 Having a mix of chopped veggies that can be re-hydrated in a matter of minutes is a lifesaver. Convenience aside, we love the peace of mind that we get from using Veg-to-Bowl as the base of our homemade meals. It is a big responsibility to make sure that your pet is getting adequate nutrition when you decide to prep their meals. Dr. Harvey’s Veg-to-Bowl has herbs, vitamins and minerals that (when paired with a fat and protein) form a complete and balanced diet. We are trying to do something good for our dogs and would hate for our ignorance to get in the way. We highly recommend that you try it yourself and see the difference that real food makes! It is good food, we have tried it. It’s just that you have to cook up the protein and always have it on hand to add to the food. We are still on the fence as to if we want to keep going with it or not, but we do love it! Feed them raw! 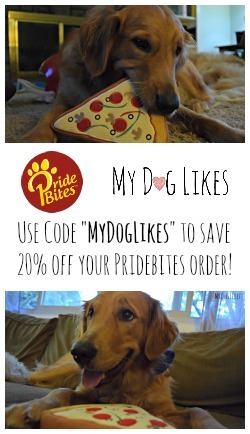 Its the best way to save you time and your dogs will love it. Trust me! I would also advise sprinkling the multi vitamin and joint supplements because you can never be too safe when it comes to dog health! I use this – the original veg to bowl – when I make my dog’s mash every week. I simmer ground turkey or ground grass-fed beef and add the veg to bowl, plus coconut oil, olive oil, ground pumpkin and turmeric spice (my dog is 11 yrs old). I don’t over-simmer the protein as raw is good too. When everything cools down, the veggies plump up and cook at the same time. I then spoon daily portions into containers and freeze them and take them out as needed to defrost. She goes crazy for feeding time. I do feed 3x a day – each meal portioned out for a daily allowance and she never gains weight. She stays the perfect weight for her size. And she is very healthy!! I do love this product!! Are there directions on how much to feed? Thank you! My Bichon has bad allergies what can I give him that does not have barley, beef, corn, fish mix, peanut, rice, soy beans, venison in it, what type of protein would you suggest? Thank you Dr. Harvey!!!!!!! I believe this food will be healthy and yummy for tommy ? Thank you, Dr. Harvey! I try to make this for my dog! Thank you so much for sharing. Thanks, Dr. Harvey! My puppies will love this food.